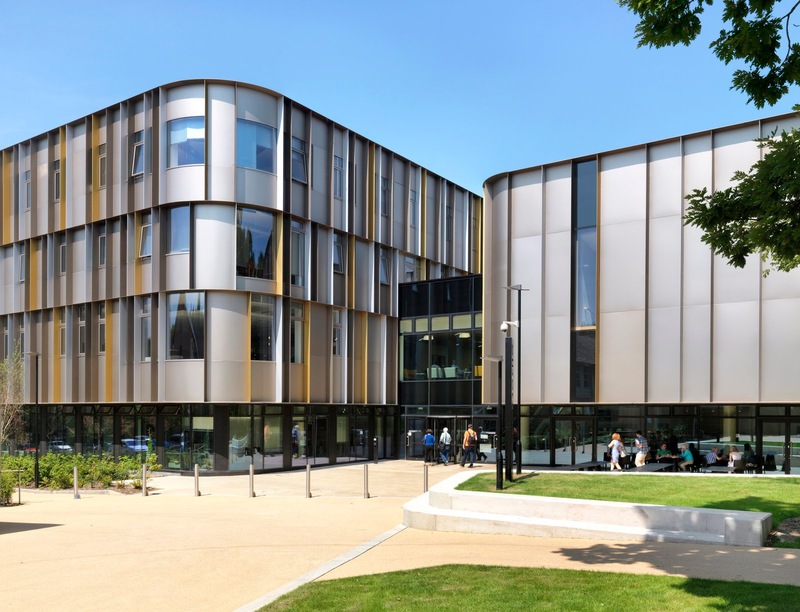 The winners of the 2018 Kent Design & Development Awards have been announced, with the University of Kent’s Sibson Building named Project of the Year. More than 30 projects were shortlisted in eight categories, with nine awards being presented and the overall Project of the Year voted for among the category winners on the night. Paul Carter, Leader of Kent County Council, said: “The design and construction of these buildings featured at the Kent Design & Development Awards are truly stunning and it shows how far we’ve come in design and build in the last 20 years. “Quality makes a difference to where we live and work and these buildings and structures show to the world that Kent is the place to be. “I would like to congratulate all the finalists and winners for showcasing Kent’s built environment and the spirit of partnership between the public and private sector, through the skills of our local architects, construction companies, developers and surveyors. 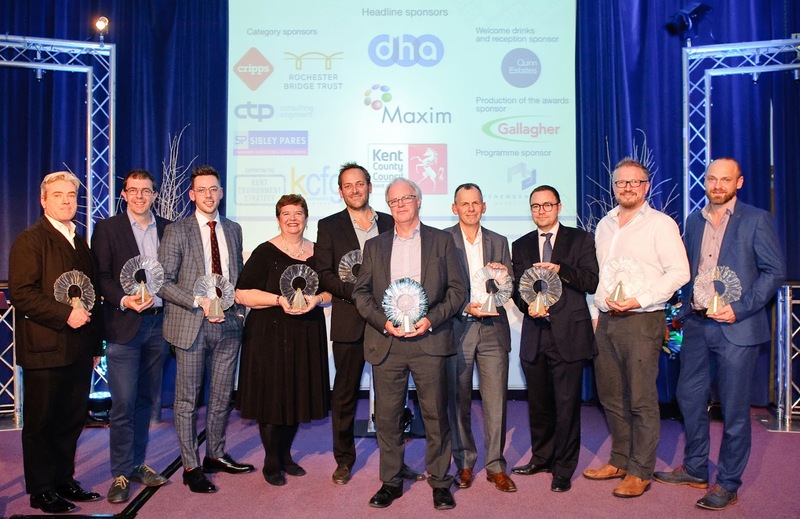 Sponsored by Kent County Council, planning and transport consultancy DHA and PR and marketing agency Maxim, the awards showcase the many excellent construction projects taking place across the county. They are held every two years. Taking home the top prize of Project of the Year sponsored by DHA, the University of Kent’s Sibson Building’s key contractor was Willmott Dixon of Dartford. The building also won the Environmental Performance category. The first award of the night went to Connect 38, in the Commercial, Industrial and Retail category, sponsored by Cripps. Connect 38 was chosen because the judges felt it was an efficient building providing much-needed modern office space in Ashford town centre. It is owned by Quinn Estates and was designed by Clague Architects, both of Canterbury. Gallagher Properties’ Nepicar Park at Wrotham, near Sevenoaks, was highly commended. The Conservation award, sponsored by the Rochester Bridge Trust, was presented to Hazle McCormack Young LLP for One Warwick Park in Tunbridge Wells. The hotel is owned by Markerstudy Ltd.
Project of the Year, Sibson Building won the Environmental Performance category, sponsored by Kent Environment Strategy. The development was praised for making good use of exposed structure to enhance the internal environment. 12A Dalby Square, Margate, was highly commended. Sponsored by CTP Consulting Engineers, Infrastructure and Renewables was won by Folkestone Harbour Arm. WW Martin of Ramsgate was the main contractor for phase two of this revitalised heritage area which the judges said established a good pedestrian link from the town centre to the seafront. Public Buildings, sponsored by Kent Construction Focus Group, is split into two categories. Avenue Tennis in Gillingham won the Community award, while Hundred of Hoo Primary School won for Education. Designed by OSG Architecture in Wye, with construction by Ramsgate’s WW Martin, Gillingham’s Avenue Tennis provides high quality facilities in a well thought out environment. The judges were particularly impressed by the passion and determination of the owner. Owned by The Williamson Trust in Rochester, Hundred of Hoo Primary School stood out for the educational nature of the site and building, which was considered to be great attention to detail. The school was designed by Hazle McCormack Young LLP, with WW Martin the main contractor. Ashford College was highly commended in the same category. Part of the Hadlow College Group, this project was built by BAM Nuttall of Harrietsham. Also split into two sections – but with three awards presented – the Residential category was sponsored by Sibley Pares. Farrow Court Phase II won the Major category for larger schemes, while Caring Wood was named Residential Exemplar winner, and Cowshed and Lambshed won the Minor category for smaller developments. Farrow Court Phase II is a sheltered housing scheme owned by Ashford Borough Council, with Pellings of Bromley the main contractor. Ceres Court in Sittingbourne – main contractor Chartway of Coxheath – was highly commended. A particularly varied and high standard of entries in the Residential Minor category saw the judges split this into two, presenting an Exemplar award to Caring Wood in Maidstone, which had Hague Construction of Rochester its main builder. Quinn Estates’ Manor Barn and The Cottage in Canterbury – both by Guy Hollaway Architects – were named highly commended. TG Designer Homes’ Cowshed and Lambshed in Lenham stood out for their high-quality designs which maximise internal space. On Architecture Ltd, of Canterbury, had been commissioned to design the homes. The category winners were presented with unique glass trophies created by Maidstone artist Annie Ross and mounted on Kentish Ragstone provided by Gallagher Group. Further sponsorship was provided by Quinn Estates and Penenden Heath Developments.